I've been dithering about writing this post today. I let myself down last week, there were a couple of family birthdays and a valentine's night out and I'm ashamed to say that I lost my will power, junk food and alcohol was consumed at the scales show it. The weighing scales this morning let me know that I've put on 2lb, ok 2 doesn't seem like a huge number but I'm so disappointed with myself. It doesn't help that that "time of the month" still hasn't actually reared it's ugly head so I know I'm holding onto "bloat" weight too. I think I'm more annoyed because I didn't let myself down with the exercise, I've been exercising every day still so I thought I would have atleast maintained my weight. As I'm writing this post I feel like I'm just coming up with excuses, trying to make myself feel better. So how am I going to move on from this?? First things first, I need to get a tape measure, I think I might feel better knowing my measurements not just my weight because honestly even though I've put on weight, I can't see a big change in my size. Exercise wise, I'm going strong. I'm just about to start my kiqplan and I'm continuing to mix it up with weights, cardio and resistantance training. Food wise I'm straight back on the healthy eating wagon, no junk will pass these lips!! I am starting to vary more what I eat at breakfast and lunch times though. 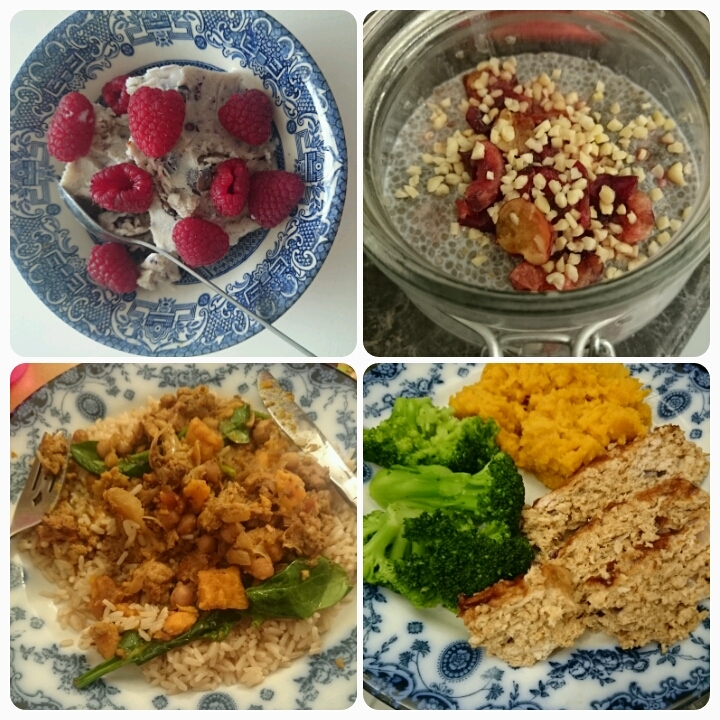 Breakfast - overnight oats, chia seed pudding or frozen yoghurt. Lunch - Soup or scrambled eggs with crackers or suishi. Drink wise, there will be no alcohol this week. This is the thing that really piles on the pounds for me so I'm avoiding it completely. I think this is the longest I've stuck with being fit and healthy for, I know in my head I just need to scrap last week and start this week afresh, I can and I will (hopefully). It can be so demoralising can't it. But don't stress to much. Move forward and don't let the guilt spoil the memories of the fun of the family birthdays and valentines. I find that if I don't allow myself the odd 'night off' and treat, the whole thing becomes too much of a chore to stick too. Nobody can be good all the time. Wow all of your food looks so healthy. It's ok to go off a diet once in a while and have fun! Good luck with it. I'm following you on Instagram now and hope you follow me back. I'm @brklynhousewife. Have a wonderful day and thanks for stopping by. Sometimes weeks like this happen if you stay motivated I'm sure it'll sort itself out for all the exercise you did!